A horse's poll is the area at the top of the head between the ears and running down the back of the neck. When the area is injured or becomes inflamed, the disease first presents as a swelling and eventually the infection leads to devitalized tissue. Because of the sensitivity of the area, once it becomes injured or inflamed, and especially after the infection and inflammation reach the big ligament that runs from the base of the skull to the withers, the horse feels intense pain any time a bridle or halter comes in contact with the poll area. Before modern drugs and antibiotics were available for use with horses, injuries to the top, back part of the neck that touched the bridle or halter were far more serious than they are today. Without antibiotics and other medications to treat the problem, the horse would fight being haltered or bridled because of the intense pain, and, in fact, as far back as 1731, the condition was called poll evil because of the reaction of the horse when the poll area was touched. If not treated, infection of the main ligament at the center of the horse's neck may develop, causing more intense pain and the horse to keep the head raised and as immobile as possible. Eventually, fistulas tracts on one or both sides of the horse's poll develop to drain fluids and pus. Given present day medications, early intervention makes this condition much less of a problem if it is caught before the larger ligament and the bursa become involved. Unfortunately, many horses don't receive the needed attention until the infection is well established and a purulent discharge is coming from one or more fistulas tracts. Poll evil can be the result of pressure or injury on the poll area on the upper back of the neck of the horse, and may also be caused by the same infectious bacteria that causes brucellosis in cattle, hogs, sheep, and humans, as well as the bacteria Actinomyces bovis. Chafing from nylon halters or other abrasive or heavy halters can leave the horse open to infection in this sensitive area. Injuries to the poll area of the back of the neck either by bumping or banging into a doorway, manger, or fence; injuries sustained from abrasive, heavy, or ill-fitting halters; and bacterial infections caused by Streptococcus zooepidemicus, Actinomyces bovis, sometimes combined with B abortus, are the major causes of poll evil. If the horse sustains any injury to the poll area, the horse owner or handler should check carefully on a regular basis to determine if the area is becoming swollen or inflamed. If an abrasive, heavy, or ill-fitting halter is causing injury to the poll area, it should be discarded and a better halter used to eliminate the possibility of chafing and discomfort. Halters should be removed when horses are turned out, and, at the first sign of discomfort or chafing caused by a halter, the neck area should be cleaned with peroxide. Halters made of leather or soft, natural materials are much more comfortable for horses than most nylon halters, which can become frayed with sharp edges. Horses should be kept away from cattle that may be infected with Brucellosis and should not be pastured in areas where infected cattle have been for at least three months after the cattle have been removed. Poll evil is difficult to treat because of the deep-seated nature of the infection. Once swelling and inflammation are noted, prompt treatment with an antibiotic, plus therapeutic treatment with application of ice packs, may keep the infection and inflammation in check. If the infection has spread and purulent discharge is present, antibiotic therapy along with hot packs, and, possibly, surgery to remove the infected and devitalized tissue, will be necessary. 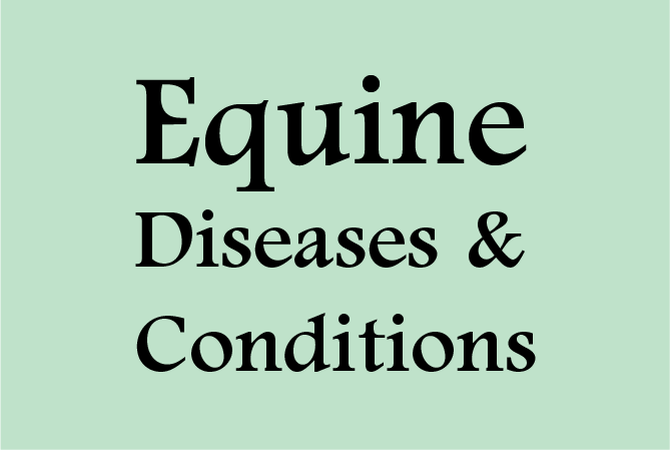 A knowledgeable veterinarian can assess the horse's condition and provide the necessary treatment and/or surgery.